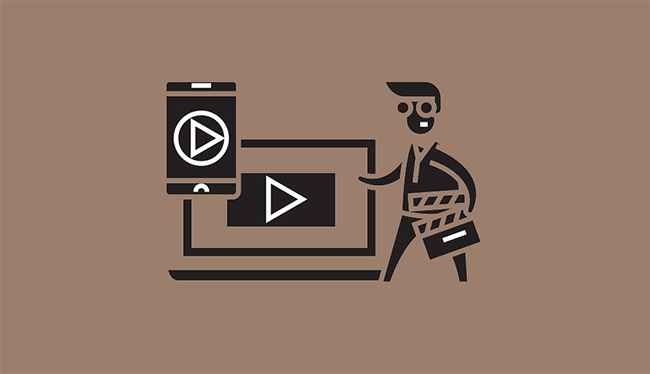 Video is all the rage right now, with most marketers hailing it as the best form of content both in terms of engagement and in terms of conversions – particularly when it comes to social media. However, as a small business, it can appear quite daunting to get started with social media videos and video marketing in general. Although videos are not that difficult to create, it can definitely seem so to a beginner. In this blog post, I’m going to show you how to leverage social media videos for your small business. Why should you use social media videos? Now that you know the basics of great social media videos, the next big question is…how do you actually create them? And what kinds of videos should you create in order to engage your audience and achieve your goals? The final piece of the puzzle is software to help you put together your video; for live action videos, so that you can edit them, add subtitles and music, as well as other elements and for stock video so that you can find video clips and edit them together. Wave.video is an online video editor and creator; it has several features that make it a really attractive option for businesses and marketers: the ability to instantly resize your video to over 30 different formats; you can easily add subtitles throughout your video; you can upload your own content (videos and images); you can watermark your video and add calls to action; and finally, you have access to a variety of templates to choose from, for all kinds of industries. Plus, the video creator is very easy to use. 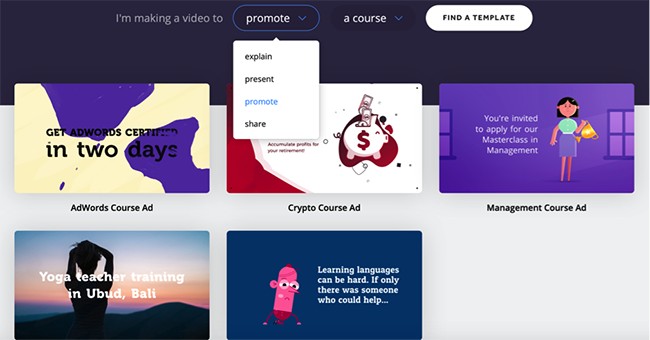 Biteable: Biteable is a similar solution, a video creator and editor that allows you to create marketing videos easily either by using templates or starting from scratch. Like the previous tool, you have access to numerous templates for all kinds of occasions, as well as a large library of video stock footage from Shutterstock, along with animations from Biteable. 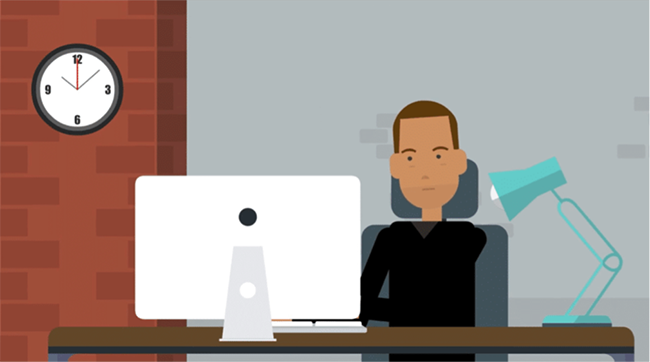 Vyond: As I mentioned earlier, one way to approach social media videos is to create animations. Vyond (formerly GoAnimate) is a video creator that focuses solely on animated videos; you have a plethora of video templates to choose from, as well as animation styles to choose from so creating an animated video is actually surprisingly easy. Once you’ve chosen a template, it’s very easy to customize your animation by adding characters and changing up their looks, adding the actions you want the characters to take and further edit your video to customize it to your liking. Creating social media videos isn’t the time-consuming or expensive task that it might appear to be at first glance; not only that, but you don’t actually need any experience filming or editing videos: just spend some time getting to know the software you’ve chosen and leverage the available templates to help. Highly regarded on the world speaker circuit, Lilach has graced Forbes and Number 10 Downing Street. She’s a hugely connected and highly influential entrepreneur. Listed in Forbes as one of the top 20 women social media power influencers, she was crowned the Social Influencer of Europe by Oracle. She is listed as the number one Influencer in the UK by Career Experts and is a recipient of a Global Women Champions Award for her outstanding contribution and leadership in business. Connect with Lilach here.